Ron Horgan came to HPC as our transitional pastor in July, 2017. His responsibility is to serve as our pastor in every way, to help us process our past and move forward to a bright future. He is passionate about studying and teaching God’s Word and applying it to our lives. 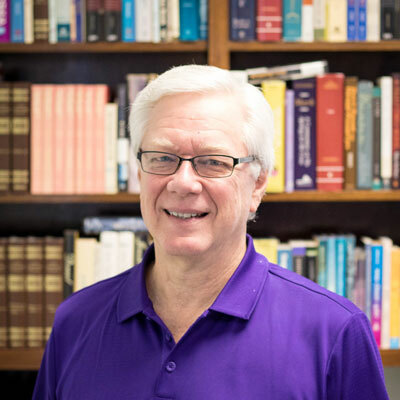 In his ministry career he has served as an executive pastor, a senior pastor and now as a transitional pastor in Houston, TX, Warsaw, IN, Montreat, NC and Greensboro, NC. ​He is a graduate of Oral Roberts University and The University of Oklahoma College of Law. For the first 15 years of his work life he practiced law in Oklahoma before God called him into full-time vocational Christian ministry. He was ordained in 1998. Ron has been married to Karen since 1976. They have three married adult children and five grandchildren. In his free time Ron enjoys playing golf, reading, umpiring and refereeing high school baseball and football.